Dies R Us: Wishing you a SUPER day! Happy Monday! Mikha is here, bringing you new inspiration at this new week! Gonna show you something different this time. To make this card, all you need are coloured image (I used Meljen's), coloured cardstock, embossing folder (I used Cuttlebug), pealrs, Spellbinders - Resplendent Rectangle dies and Docrafts - Xcut Alphabet Dies - Headliner! Not much, eh? I hope you're inspired, and from simple things, you could make wonderful card! Don't forget to pop on the store and get free shipping for order above 35$ if you're US resident, and if you're international customer, you would get it on order above 50$! It's an easy job because when you pick dies, suddenly they reach the number ;) teehee! If you haven't joined our Flower Challenge, you could check and join HERE! Super cute & super fun! I'm sure kids would all love to get this cutie! OMG Mikha ... this is so 'outside the box' for you and I LOVE IT! Great job! What fun inspiration! Oh great ! so fun ! 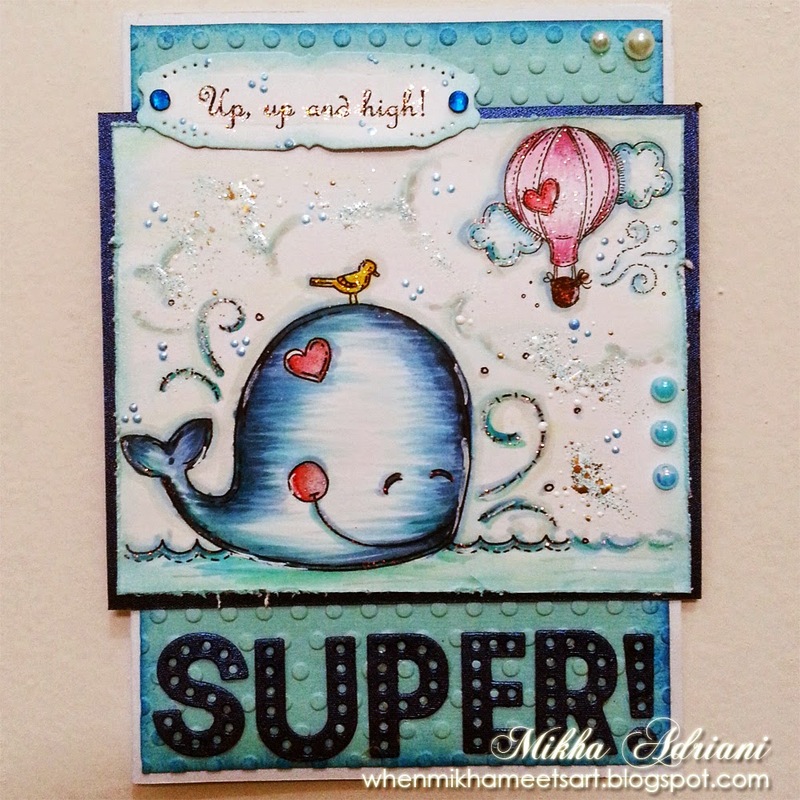 Mikha super cute card! I love the alphabet die set. I will have to add that to my LONG list.